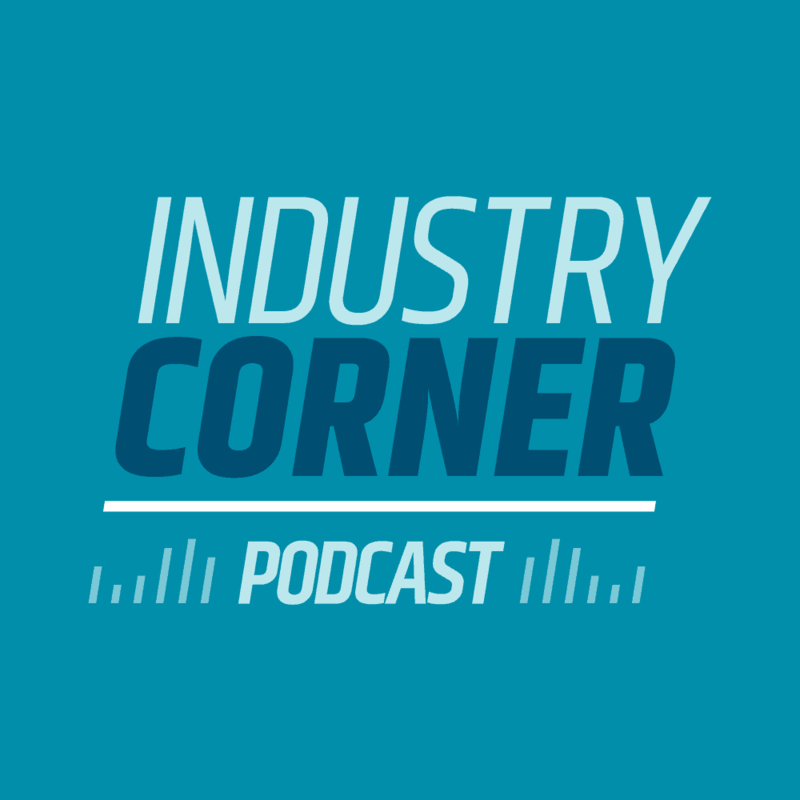 Chris: On today's podcast we discuss some recent USPS initiatives including Seamless Acceptance, EPS, and Informed Delivery, as well as talk about the 2019 trade show season. So let's get into it. Welcome to the podcast, everyone. Hi Anita. Chris: Good morning. We are now in April everyone. And so excited spring is right around the corner and with it comes so much activity, the Postal Service is continuing to move forward on various initiatives. And Anita, we are getting ready for the big trade show season for 2019 so many different events coming up. And I'm excited to talk about those. Give our listeners kind of a preview of what's ahead, some of the ones that we're going to be attending. But let's talk about that a little later. I really want to get to some initiatives with the Postal Service lately. In fact, I think there was another thing the senate had some kind of a hearing regarding some board of governor nominations, right? Anita: Correct. On April 2nd we had the nomination hearing for Ron Bloom and Roman Martinez. Um, they didn't live stream it, though. Chris: Oh, that's too bad. Like a lot of our listeners you're glued to our monitors. Right. Cause I don't think they always broadcast it on television. So we're looking at our monitors to watch what's going on. Anita: Right. But you and I are such geeks when it comes to that. Remember the last hearing when we were trying to encourage people to come watch and they're like, no, we'll just wait til you tell us what happened. Chris: Hey, we had a great time watching it and enjoyed a few girl scout cookie thin mints, if I recall, so it was a lot of fun. Anita: Yeah don't tell everybody that we ate the whole box. Chris: That's our secret. Well maybe not anymore so. So what have we learned so far? Chris: Okay. So I've got some pretty good updates on some of the initiatives that you mentioned in the opening. Seamless acceptance. We've been talking about that and you know how many concerns there are still buy flat mailers and some letter mailers as well about the cost and the concerns that they have about undocumented, et cetera. Well, the Postal Service, um, Mark McCreary in particular heard those concerns and they're going to take a step back on the Advance Federal Register notice that I've mentioned in previous podcasts. Chris: That's great. That's good news. Anita: Yeah, I think it's going to be at least may or even June before we see that Federal Register Notice while they work with the mailing industry to come up with the solutions for that. So that was good news. And then on enterprise payment system (EPS), they have a new automated help desk method on the business customer gateway for getting the invitation code. They retired the old process back on March 25th I believe. But you know how that seemed to be a real headache for a lot of mailers where they'd request the invitation code and then it was, you know, two or three weeks. So Postal Service also heard about that. So in order to get that invitation code, you have to have access to, MMA, I think they refer to it as, is that Managed Mail Activities? Chris: I think that's right. That sounds correct to me. I know there's an association by that same acronym, so that always kind of messes me up a little bit. Anita: Yeah, that's right. That's right. We do live in a world of acronyms. Anyways, so getting an invitation code now to sign up for Enterprise Payment System is going to be much easier. And of course we're into April as you mentioned. So hopefully people have migrated or they've gotten an approval on an exception request that they submitted. So we'll probably be talking about that on our next podcast and give you an update on how well everyone's doing in that regard. Chris: Right. And I know it was a very short window for people to be able to request an extension with the EPS system. But I will say that, you know, I'm glad to hear that the Postal Service is listening and I know that oftentimes it feels, for the industry now, that they're not always listening to us. And you know, I'm sure I could point to some instances where it just absolutely felt that way. Certainly with regard to the federal register notices that come out and you're like, wait a minute, we talked about this, we need to agree to this. But I'm really, really glad to hear that Mark McCreary is listening and I've always found him, as I've said before, to be a great listener, sound reason, and very pleased to hear that there's a little bit more time, not that Seamless Acceptance isn't important, it really is. That's where we need to be looking to go, but we need to be very careful and make sure that the industry doesn't get too hung up on some of the risks. Uh, there's a lot of upside for it, uh, I think for a lot of mailers. And then as far as EPS goes, we need to make sure that both sides are working in harmony, the industry and the Postal Service with the electronic exchange. That's the future where we need to go folks and as much as I love paper and I really do as a renewable resource, the rapid pace that we're moving here with mail preparation, acceptance in-home dates, and trying to find ways to tie together digital and physical. We need to continue to move forward with the electronic payment and acceptance part of it. Anita: So on the Informed Delivery front, there's a lot going on. Chris: Excellent. speaking of digital, right? Anita: Right, exactly. So as of March 29th, subscribers were almost at 16 million. It was 15.98 million. So I think they've found the key to, to really grow that subscriber base. Here's what I think is the reason they have a new authentication method. Do you remember the old one? Chris: Yes. Yeah. They would ask you some of these questions is like, you know, did you live at this location 18 years ago and all these different questions, right? Anita: What was the estimated number of square feet in the home you lived in in 1996 or something ridiculous? Of course I was one of the early adopters, but I failed twice and then I physically had to go to a postal facility to do in-person verification. So anyways, so now they've brought that process up into the 21st century where you enter your mobile phone number and then you get a text in return. Anita: Right. Yeah. So I think that's going to help a lot. And of course they want to get to 20 million users in this year and up to 40 million by 2020 so they've got a way to go. But that number is growing. Chris: That's encouraging because I know a lot of our customers and listeners, they see the potential with Informed Delivery. And I know that in the case of BCC Software, a lot of our customers are participating in that two customers were showcased at the National Postal Forum in San Antonio. I know that a lot of our customers are actively seeking ways to add Informed Delivery as an extension of the value that they provide to their customers. So I'm pleased to hear that the adoption continues. I'm more excited and I'm anxious to talk to Jackie Strako and our other postal partners to understand how does BCC Software, as that key component in the supply chain, leverage the data because we need the Postal Service and the software industry work together to be able to help our customers extend value of what they're providing to their customers with this Informed Delivery initiative. Anita: Right. You know, that was a really good segue into what I want to talk about next because the promotion period is coming up. Well it's at the end of the year, September 1st to November 30th. But that's the promotion that is really, really popular because all you have to do is participate in an Informed Delivery campaign and you get a 2% discount. So I mean I think the Postal Services going to be flooded with campaigns. The problem with that at this point in time is that if you are submitting your campaign through PostalOne! using mail.dat or mail.xml, Bob Dixon is really recommending that you get some experience with it before the promotion time period begins because they're seeing a lot of validation errors. In fact, they had 60 errors in the month of January alone. Right, so we were on a User Group 12 call recently where Mitch Carpenter from BCC Software recommended that the Postal Service tell us what those common errors are so that we as a software provider can help with that validation process and tweak our software if need be to make this an easier process for mailers. Anita: And you know, they had some network issues the last weekend of March and yeah, there were some complaints that the pre-campaign analysis reports are really, really downloading slow. So I know they're working on that. You know, mailers had been real good about reporting issues to the Postal Service so they can work on it. And one last thing I want to mention about ID is that the promotions document, everybody's been asking to see it because everybody wants to be prepared for this important promotion. So we got a draft yesterday, the User Group 12 participants. So we're going to be looking through that because some mail is not going to qualify. We already know that saturation and EDDM mail will not qualify for the promotion and that's understandable. But then there's some questions still about non automation mail cause there's always a residual portion of a mailing and is it worth it to just have to cull out those pieces that don't qualify and adjust your postage statements and so forth. Chris: Right. And on the surface that makes sense to me, actually. And I know you know for our listeners that's probably a disappointment but the fact is is that the Full-Service Intelligent Mail Barcode that's the key folks and it's got to have an 11 digit zip code with it. So having the best CASS certified software process to make sure you got addresses that are complete and correct, current, of course for the 3C approach, but also making sure that that Barcode's on there with the information to tie that into Informed Delivery, that's going to be a key part of it. So without that bridge, you're really not going to be able to leverage the benefit. And as a reminder for everyone, I mean that's the whole point, right? We enjoy these postage discounts because we're avoiding costs to the Postal Service or opening up new opportunities for mail growth. And if we can't demonstrate it, that's going to be hard for us to defend the, you know, the continued receiving those benefits. Anita: Yeah, well before talk about the trade show season, they're just two quick updates. Kevin Gray who was the lead on User Group 4 which is Informed Visibility. He's accepted a promotion in the cap metro area. So congratulations to Kevin. So we'll have Steve Jones now heading that work group from the Postal Service side and then work group number 191, the most recent one, Informed Address. So they've started meeting and they're going to be meeting every Friday afternoon at 2:30 so first one was a very interesting, a lot of obstacles to solve. So we'll see where that one goes. But lots going on. Chris: It'll be interesting on the informed addressing as we talked about before to see how that goes forward because you're right, it could be a real challenge for the software industry to be able to make that or bring that to the market. But hopefully the MTAC work group will have some good conversation and dialogue as they always do and come up with some recommendations and resolutions for them. Well, as I said before, it is April and this is the time of year where we start looking for the trade show season and there's various venues throughout the year, both in terms of actual trade shows with booths and exhibit halls and things like that. And then there's of course opportunities for our listeners to get involved on a local level with their Postal Customer Councils or through the various industry associations, which I strongly recommend our listeners take a look at and join the association or associations, multiple ones that make sense for their customers and their business. But here in April there's two events that are going on. They happened to be during the same week. One is the InkJet Summit that's down in Florida. Very interesting venue that BCC Software's been to before that centers around the latest in inkjet technology. And we have a lot of customers that do attend that. It's a unique format in that the inkjet technology or software technology providers have an opportunity for a very brief moment of time, about 15 minutes to talk about case studies to a group of individuals. So it doesn't cost anything for the attendees to go to this. It's all fully covered by the companies that sponsor it, but it presents an opportunity just to talk about how people are leveraging inkjet or software technology to grow their business. So that's April 8th to the 10th in Florida, and during that same time we have MAILCOM and the MAILCOM show has been around for a long time. It's changed quite a bit over the years to be sure. At one point it was really more focused on hardware and inserting technology and now it's sort of kind of become more of an educational format. It does still have an exhibit hall, uh somewhat smaller than in past years, but they're back in Atlantic city, which is kind of exciting for MAILCOM. That's really where it had been for many, many years. And I remember going to a lot of different MAILCOMs in the past. So that is April 8th to 10th in Atlantic City. Anita: Do you know, as many years as I've been in this business, I've never been to a MAILCOM. Chris: Oh, is that right? Wow. Anita: And maybe because you said that it really was focused on hardware, that's probably why. Anita: There's something for everyone. Exactly. Chris: There really is, and I'll tell you the education sessions are fantastic and I'm not just plugging our own cause I know you and I are speaking like three times there, but it really is a great place to go to get information about the industry and understand what's going on. And more importantly lately the Postal Service has focused a lot on certifications. So getting your mail piece design professional certifications, really important for those… for our listeners, you want to be able to demonstrate to your employer incremental value that you provide as an employee. Getting certified as a mailpiece design professional is a great way to be able to do that. So I encourage everyone to attend the National Postal Forum in Indianapolis. It's going to be a lot of fun. And while you there, please do checkout BCC Software in Booth 201, we will be right in front so we can answer your questions there. Anita: Surely we're going to tell them when our sessions are, aren't we? Chris: We are, so there's a session that we're doing on Sunday. I believe that's the one Navigating the Postal Landscape? Anita: Right, that's the one you and I are going to do, and we're going to teach everyone how to become a subject matter expert. Chris: Yup, exactly. I know that on Monday I'm going to be talking about Why Direct Mail Still Works and discuss a little bit about millennials and direct mail and some tips and techniques that help to grow the value of mail as part of a foundation for multichannel marketing. Anita: Right. That's at 1:30 on Monday. Chris: Yup. And then you have a session as well, right? Anita: Right on Tuesday at 1:30 titled New Data, New Possibilities. I'm going to be talking about Informed Visibility and so I'm excited about that one. Chris: So again, those three opportunities for our listeners to attend. And of course there's so many different ways that you can get more information or even if you're just there to walk around the exhibit hall, you're going to see and hear some excellent information that you can bring back, actionable information, uh, to grow the value of mail at your business. Anita: And the networking. Networking is really huge. Chris: And the networking, that's an important part. Yep. July, July 21st to the 24th, NACUMS is having their big annual conference in Orlando. And I know that a lot of different industry associations have their annual meetings throughout the year. I call out NACUMS, I'm going to be there just because it is the National Association of College and University Mailers and mail is really critical to higher education. And so I'm excited to be able to go to that event in Orlando. August 5th to the 8th BCC Software is hosting their Information Exchange. Again, this is in Rochester, New York, I believe this is our fourth year doing this and we've had some great attendance in the past year and now with the acquisition of Satori Software back on January 28th we're expecting a lot of customers this year to attend Information Exchange. Again, it'll be here in Rochester, August 5th to the 8th. Great Information and a great way to be able to sit down at the table with myself and the senior leadership team and the engineers and you'd mentioned Mitch Carpenter and Anita, you've been there and we can just to sit down and hear directly from our customers, what would they like to see with the software, how can we grow their business? A lot of the decisions that we made, including up to the acquisition of Satori software, came out of these conversations at Information Exchange. So, so I'm glad to be able to do that. Anita: Oh and I'm looking forward to it. I learned so much last year. Like you said, hearing directly from our customers and what they want the software to do or what, how we can enhance it. I think it's just a really great opportunity. Chris: Yep, exactly. PCC weeks, September 23rd to the 27th and again, this is throughout the United States all week long. So various locations for the Postal Customer Councils. Anita, I know you and I have been at a number of different ones and those are, they're so valuable. If you're not a member of your local PCC, you'd need to take a look at that and that'll be part of what you and I will talk about the National Postal Forum for people getting involved with the industry, making connections and becoming subject matter experts. So as PCC week comes up in September, figure out what Postal Customer Council makes sense for your area and then start getting involved. So that you can participate in that big rollout for that week in September. And then finally to print shows in October are happening this year. We've got PRINT 2019. This is the show that's existed for a long time. It used to be called graph expo every three years. And then the fourth year it would be called PRINT. They're just going to call it PRINT from now on. Cause that's really the focus. Uh, October 3rd to the 5th in Chicago. BCC Software will be there again of course. And that's an exciting way to be able to understand what's going on in the print world and need. I think that's probably the show that you had attended in the past since you had worked at printers and stuff, right? Anita: Correct, correct. And last year I did a presentation in the Canon booth. So we'll see what we've got up our sleeves for this year. Chris: Yup. And I know I presented there last year as well and I believe I've got a session on Saturday morning. I'll be presenting there as well. Finally, another print show. This is a new one for the industry. It's Print United October 23rd to the 25th in Dallas, Texas. So excited to see what that show's going to be about. BCC Software is going to be there. Print is really important in this industry and there's a lot of advancements in technology and techniques for print these days. So again, two great print shows in October. If you can attend both one in Chicago, one in Dallas, I think it's a great opportunity to get more involved, so so many different venues, so many different opportunities for education and certifications and knowledge. And again, it's all about being connected and informed people. So please do take a look at the various calendars, take a look at BCC Software's webpage, you'll see where we're going to be exhibiting at these and please stop by when we're there and see if we can have a conversation about how to enhance the software and technology to add value for your business. Anita: No, I'm just overwhelmed by the trade show season. You know it's funny when you just lay it out like that, it's a, there's so many opportunities and, and of course we'll keep our listeners informed on what's going on, especially the forum. We'll have a lot to talk about with that. Chris: So again, just an exciting year as always so much to be involved with. So much information to stay on top of. And I'm glad for our listeners that they value this podcast, cause we've heard back from our listeners that they enjoy the topics that you and I talk about and the length of time. So, in that spirit, why don't we wrap this up. Any final comments, Anita? Anita: No, just looking forward to seeing everybody in Indianapolis. Chris: Likewise, it's going to be a great year, folks. Again, for our listeners, I want to thank you for attending the podcast. Our customers. I want to thank you for your business and as always, if you've got any questions, please visit BCCSoftware.com or give us a phone call because we always want to know how can we help? Thanks everyone. Have a great day.